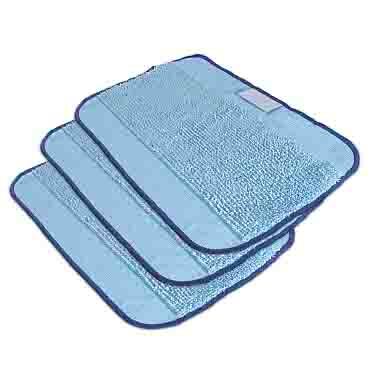 Fibers on Braava's textured blue Pro-Clean microfiber mopping cloths attract and trap dirt, oils and grime from the floor. These cloths can be washed and reused hundreds of time and can be used with all Braava 380 models, including the Pro-Clean Reservoir pad for Braava 380. With the Pro-Clean System, a special Reservoir Cleaning pad dispenses liquid throughout the cleaning cycle, continually refreshing the Pro-Clean microfiber cloth with fresh fluid.